This is the very best Circle in a person’s life: a Circle of Old and New Friends. 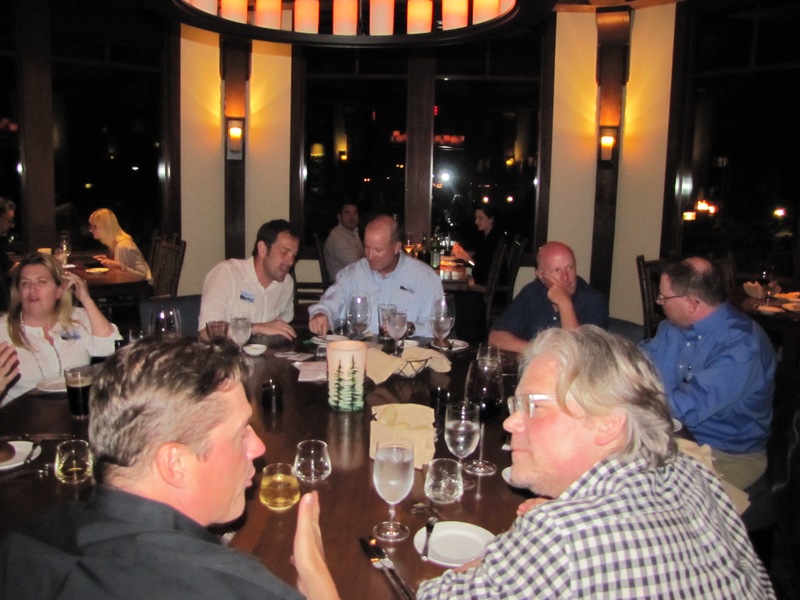 This is the dinner table at the Ricochet Tahoe Meetup in September of 2015. At the beginning of the weekend, we only knew one of the Ricochet members. At the end, we had made five new friends. I spy a number of circles in this entry (plates and rims of glasses), but the circle of friends and family are the best! I definitely agree, Chuck. I have made more new friends since I joined Ricochet in December of 2012 than at any previous time in my life. Happy New Year to you (and you should check out Ricochet). A circle of friends (and/or family) is the best, that’s for sure. Happy Bloggy New Year, Janet!